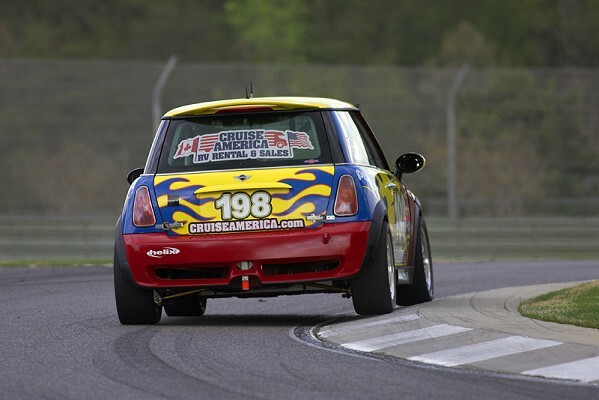 This entry was posted in news and tagged GRAND-AM motorsport RSR Motorsports on July 14, 2010 by James Day. RSR Motorsports will debut its new, completely in-house built MINI Cooper S this weekend in the Garden State 250 in New Jersey. Read the entire article RSR Motorsports Continues to Evolve as New Jersey Nears. This entry was posted in brochures collectibles on July 14, 2010 by James Day. This single sheet brochure from 2003 folds out from the middle. It describes the benefits and terms of the program which comes with the purchase of a new MINI. The MINI USA catalog number is NUS-3-RA3.